Unlike some critics, I take no joy on trashing the work of other people. A bad film is not an invitation to try to come up with the cleverest or snarkiest way to verbally condemn it. As my readers hopefully notice, I do try to find something nice to say even about the worst films, and I usually can succeed. And it is one thing to openly tear apart the failures of a $150 million Hollywood product and/or the belabored attempts of a once-fine filmmaker gone to pot. But it is another to openly tear into a small picture that may or may not be a labor of love. 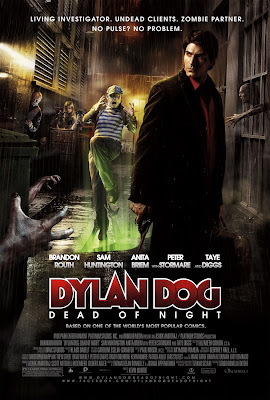 So with sincere apologies to all involved, it should be noted that Dylan Dog: Dead of Night is one of the worst films I have ever seen in a theater. A token amount of plot: Dylan Dog (Brandon Routh) was once a detective to the hidden supernatural element of New Orleans. But after his fiancee was murdered by vampires, he quit the business and now spends his days as a low-level private eye. Happenstance of course brings him back into the game, as he's brought onto a case of an antique collector apparently murdered by a werewolf. But not all is at it seems, and what starts out as a simple case of murder may soon plunge Dog into a conspiracy involving an ancient prophecy to bring about mass destruction. There is no need to criticize the generic film noir plot, as the film (based on a comic book which I can only hope is better) is obviously trying to make a traditional detective picture with the added supernatural elements. But the execution fails in nearly every conceivable way. The most obvious problem is the direction by Kevin Munroe. This is his live-action debut, having previously helmed the mediocre but visually-dynamic TMNT four years ago. Right from the get-go, the film is a hideous and ugly visual disaster. The entire film is underlit and shot in extreme closeup. I'm not sure if its to hide the small budget or because Munroe and company think the film should be viewed on a cell phone, but the entire picture is a series of visually drab narratively-damaging closeups. It's often difficult to make out what is going on because the key action appears to be occurring just out of frame. While the film does occasionally provide worthwhile visual effects, its obvious that the $20 million budget was stretched beyond the breaking point. Since the film is a twenty minutes too long anyway, they should have just cut some of the repetitious and useless chase scenes. When a major promised supernatural event does occur (trying to be vague here), it's almost laughable how not impressive it actually is (let's just say that it's not very imposing for something that is supposed to be a force for mass genocide). Even if the rest of the film had passed muster, it is challenging to enjoy or appreciate the elements of a film that is this openly unpleasant to look at. But the rest of the elements do falter. Brandon Routh does what he can, but is hamstrung by some of the worst voice over this side of Wanted. Yes, voice over narration is a staple of the genre, but it is constant, revealing emotional beats that are painfully obvious and even revealing crucial plot information before it is presented to us. Routh also delivers said tough-guy narration in what can best be described as 'gee-wiz Clark Kent' (I don't like using actors' prior characters against them, but it does apply here). Routh is stranded by a supporting cast that seems determined to give the worst performance of their careers. Taye Digs has a few moments of charm as the current vampire leader, and he at least looks like a professional who doesn't look like he's awkwardly reading cue-cards. Peter Stormare doesn't fare as well, as he gives a painfully stilted performance. Sam Hunington is painfully obnoxious as Dylan's assistant and Anita Briem provides neither heat nor personality as Dylan's client and/or love interest. The writing doesn't fare much better, with painfully on-the-nose dialogue and a narrative that drags on without any real drive or tension. Writers Thomas Dean Donnelly and Joshua Oppenheimer are likely to blame for this, although they did write the script to Sahara, which I happen to adore. With bad acting, poor writing, mediocre special effects, a lack of tension or any kind of forward momentum, Dylan Dog: Dead of Night would be a failure even without its astonishingly unpleasant direction and/or shot structure. Rare is a film that is physically painful to watch, but the claustrophobic visual structure genuinely makes you feel like you're trapped in a very small space. Routh deserves better and fans of the comic do as well. But this is a nearly worthless film, and that brings me no joy to say. In all my years of moviegoing, I have never walked out of a film of my own volition. But I very nearly walked out of Dylan Dog: Dead of Night and I very much wanted to for much of the running time. 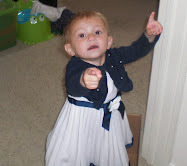 So consider this negative review a public service announcement. I sat through it so you don't have to. You're welcome. X-Men: First Class gets another solid trailer. Joining the Dark Side of the Force at Disneyland.